WHY DO WE USE A NATURAL DOG SHAMPOO? ‘Natural’ can be defined as something that exists and evolved as part of an ecosystem, which works in harmony with other members of that system so that plants, animals and microbes can co-exist happily. 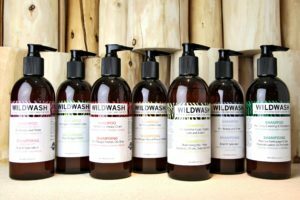 WildWash products engage with our natural abundance of flora and botanicals and intelligently and honestly utilise their natural, healing and enriching properties to work perfectly with your pet’s sensitive skin. Our shampoos and products contain absolutely NO Parabens, Phthalates, Phosphates, Petrochemicals, Sulfates or PEG’s.